Have you heard about keywords on Pinterest? Let’s chat about them a bit. In this week’s podcast episode I chat about my upcoming Pinterest keyword webinar. In the episode I mentioned a few things I want to go over. First the keyword hack post can be found HERE. It has to be my favorite time saving hack that also just happens to increase traffic, if done properly. With the new smart feed change, keywords are just as important as the perfect image. I am hosting a free Pinterest keyword webinar MONDAY SEPTEMBER 18th at 10 AM CST. 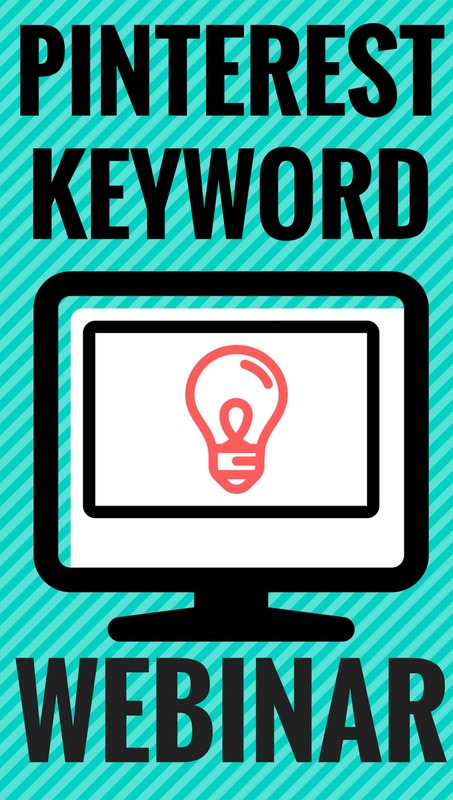 If you are interested in learning more about keywords and how it can help organically increase your Pinterest search traffic, sign up below for the webinar. I am excited to host and can’t wait to see yall there!